Did you enjoy what you tried? 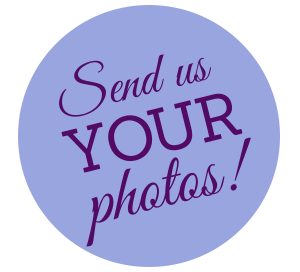 Please like us on Facebook and leave a recommendation, take a picture and tag us on Instagram, or leave a review on our Google or Yelp page! Read what some of our customers have to say about Whipped! This Whipped Bakery experience was the talk of the party. My order from them came out unbelievably professional and perfectly beautiful. Everyone at the birthday party wanted her number....everyone. No one has even seen a more beautiful cake and to top it off you can tell the cake was made from scratch and the best ingredients. You could smell the natural vanilla frosting. It wasn't too buttery or too sweet. Everyone kept saying they never ate a more mouth watering cake in their life. I was the hit of the party for buying this cake from this bakery. I am from California and had to order the cake on the phone. I told her to just have fun and gave her the pattern from a party city website I wanted her to base it on. She went all out! It was an unimaginable surprise when I picked it up. She added so many extra things that made it special and magnificent! I told her she will be my new bakery place that I will go to when I retire in Colorado and now my whole family and friends here in Colorado will only use her. This beautiful, talented lady knows what she is doing and really cares about her product. A rare find these days. What a wonderful experience! Thank you! Thank you! Thank you! Emily was our baker for our wedding cake this last weekend, and all I have to say is WOW. The design we went with was a little out of the ordinary, and she exceeded our expectations by a million. The cake was beautiful and tasted literally amazing!!! At some point or another almost every guest we had commented on the look and taste and how awesome they both were!!! Just wanted to say thank you so much for the amazing cake for my husband's birthday! Everyone commented on how great it looked, and it was so delicious! 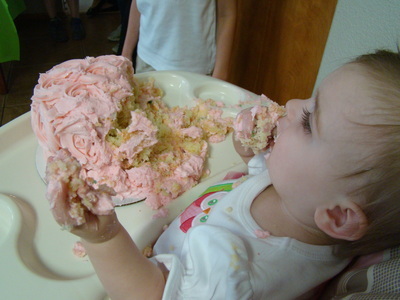 I love that it wasn’t too sweet like so many store bought cakes. Thanks again for helping make our party special! We’ve been out of town but I just didn’t want to neglect to let you know how absolutely over the moon my boyfriend’s mom was for her cake. Everyone was so impressed with how great it looked just as we were when we picked it up. Then I took my first bite. Wow! It was every bit as delicious as it was beautiful. Thank you so much for all your attention to detail. It was absolutely perfect. I will definitely be calling you again. I want to thank your beautiful baptism cookies! Your talent is beyond compare! Everyone LOVED them! The cookies were not only decorated to perfection, but, also the most delicious cookies anyone has ever had!! Thank you, thank you, thank you!!!!! I wanted to reach out and thank you for making us our cake! I do know from everyone’s reactions when it was first brought out it’s one thing that will be the highlight of our wedding, and we owe that to you! Not to mention it tasted amazing! Thank you so much for everything you did. Thank you so much again for the incredible cake!!! 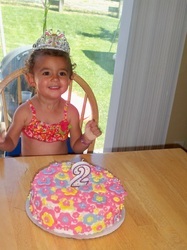 It was a huge hit and the birthday girl LOVED all the details, not to mention how yummy the cake was!!! Thank you so much for the yummy cake and cupcakes for our wedding. Everyone commented on how yummy they were and how beautifully they were decorated. I have honestly never tasted cake or cupcake as moist and flavorful. I will definitely recommend you! 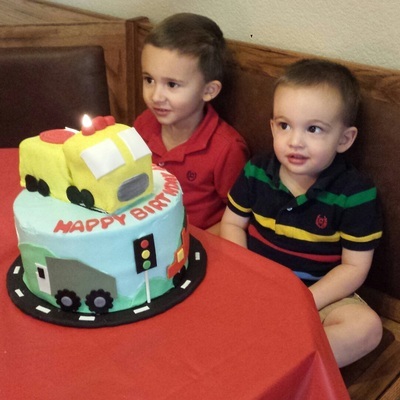 I can't thank you enough for the amazing cake that you made for my son's birthday this past weekend. Not only did jaws drop when the kids and parents came into the room and saw it, we were all even more impressed when we tasted it. I have been a part of many weddings in my past (as a caterer) and I have to tell you, that was the most delicious cake I have ever tasted. You are an amazingly talented baker and artist. Thank you so much for making such a wonderful cake for us. Undoubtedly, we will all be talking about that cake for quite some time! I look forward to ordering another from you for our next big event! We can't thank you enough for the beautiful and, as important, delicious cookies! You have a gift and we certainly benefited! I wanted to thank you for such a beautiful and tasty wedding cake. We loved the cake and so did our guests. Thank you again! I cannot thank you enough for how amazing our cake turned out. There were so many people who told us it was the best wedding cake they had ever had. You are the best, cannot thank you enough! Thank you for my beautiful amazing wonderful cake. The flowers looked absolutely perfect!!!! We received so many compliments that evening on the look and taste of the cake. We will be forever grateful. Just wanted to say thanks so much for our elephant sugar cookies. Not only were they just beautiful but very tasty also. Will keep your name & number on hand for future needs and will share your name with family & friends. Thanks again. 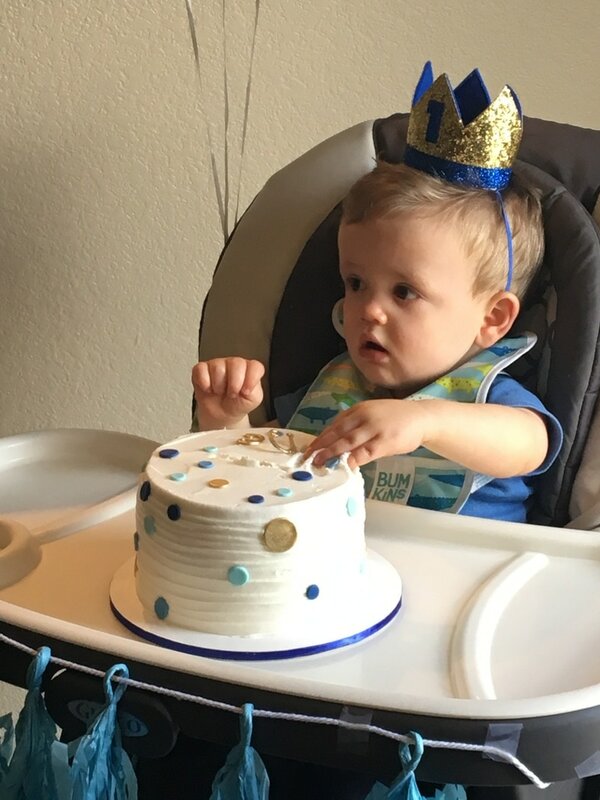 Just wanted to let you know the cake was fantastic! Everyone commented on how beautiful and delicious it was and I totally agree! It was super moist and SO yummy! 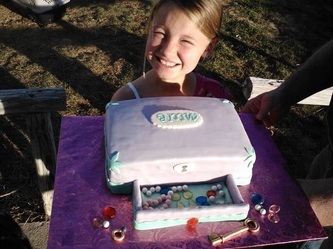 So happy we found you and that you were available to make such a lovely cake for my girls' birthday party. They loved it! I would definitely recommend your bakery to anyone looking for a cake. I just wanted to say thank you for such a great cake!!! It was exactly what we wanted and the guests all thought it was terrific. Many compliments on the cake and people who said it was the best wedding cake they had ever had. So thanks again! Thank you so very much for helping make our wedding day so special! And for making my life that much less stressful! 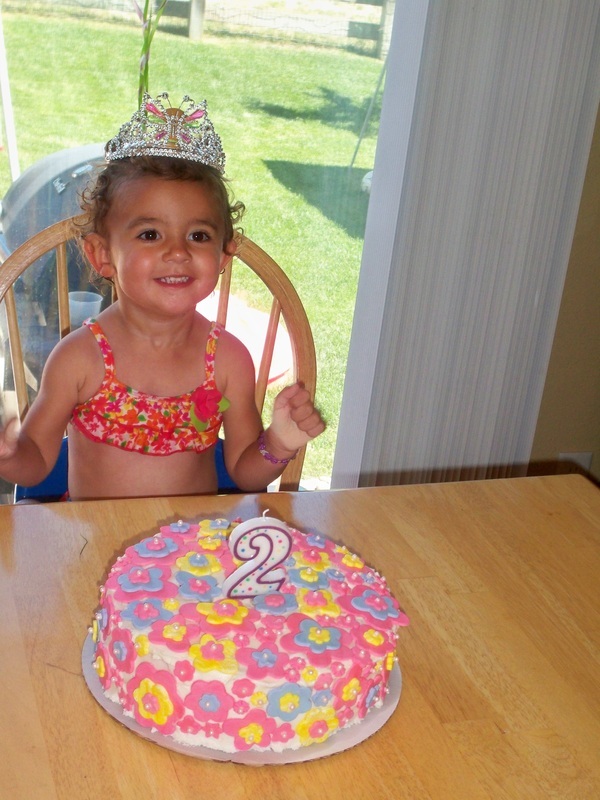 The cake, cupcakes, and strawberries were a huge hit! We ordered extra and hardly had any left over at the end of the night. And we got a ton of compliments! We are so happy to have chosen Whipped Bakery! Thank you for the great job on the (wedding) cake!! Everyone loved how well you applied the design that she wanted! Wonderful! Thank you so much for the (wedding) cake! Not only was it delicious, but it was exactly what we wanted! It was a pleasure working with you! The cookies were a big hit. People were coming out of the woodwork to get one. The chocolate chip cookies were to die for. Thank you! Very easy to work with over the phone and through email since I do not live in the area. Very prompt in their response time and were accommodating to any changes I made. Excellent and friendly customer service. The cookies were a huge hit! We had them displayed next to a cute little chart so customers could find their sign and get the right cookie. It really helped that they were absolutely delicious, too! Thank you so much for the wonderful cookies. They were a big hit at the party!!! Thank you soooo much for the cookies!!! Everyone loved them! They were delicious! I just wanted to let you know that everything about the cake was awesome. It was beautiful, exactly what I pictured when I gave you the description, and every last bit was eaten. Thank you! Just wanted to tell you that the cake was amazing! Thanks for doing it for us. I thought I did not like cupcakes until I tried the cupcakes at Whipped. They are delicious. There is such a large cupcake selection to appeal to everyone at your party. My personal favorite is the strawberry cupcake. I just wanted to thank you for all of your help with making a beautiful cake for my daughter's first birthday! It turned out beautifully! I can't even begin to find the words to thank you for your willingness to work with (the bride) to make the dreams she had for her cake and cupcakes come true. I hope you've enjoyed bringing this all together as much as we've enjoyed working with you. Your friendliness, professionalism, expertise, and creativity have been stupendous! Wanted to send you a quick note to say thanks! 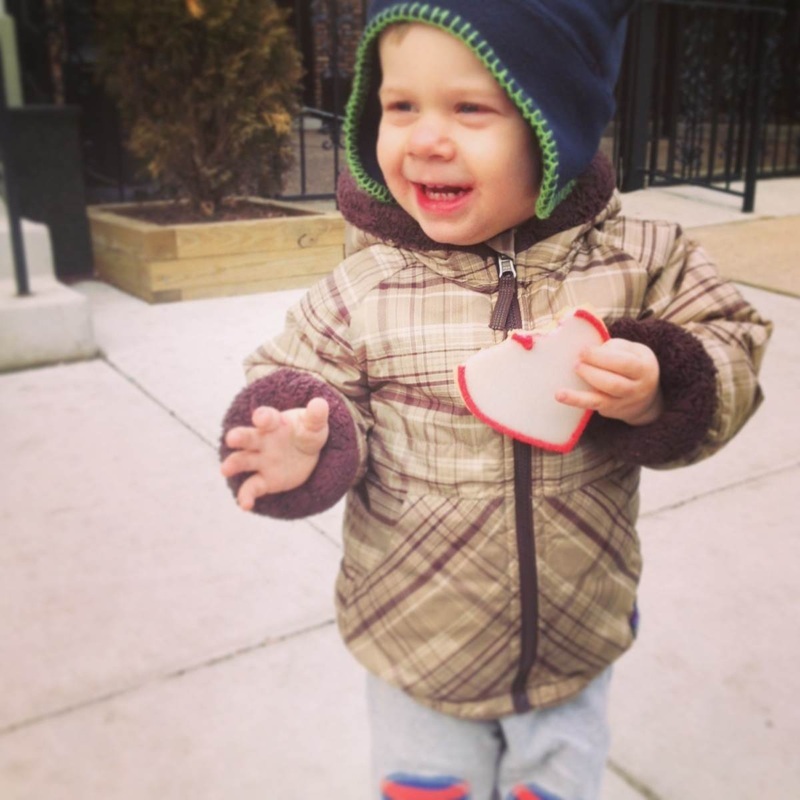 We’ve gotten great feedback from our clients - they loved the cookies. It’s been a pleasure working with you and we are really happy with the final product. Everyone LOVED the cake! They couldn't get over how delicious and beautiful it was. Thank you again!! The cookies are awesome...getting rave reviews!!!!!!!!!!!!!!! Thank you and I will be in touch for other occasions! I just had to email you to let you know how beautiful and delicious our baby shower cookies and cupcakes were. My youngest daughter, the honoree, was delighted and all the guests raved about your creations! I just wanted to thank you for the wonderful job you did on our wedding cake! I didn't get to taste any the night of the wedding, but all our guests talked about how delicious it was!! I did get some yesterday, the day after the wedding, and it was just as great as the cupcakes were during our tasting! I just wanted to thank you for all you did! It was great...I forgot to mention it was beautiful! Perfect perfect!! 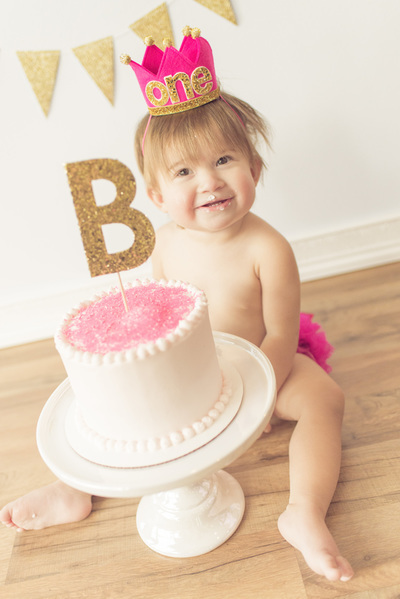 Just wanted to thank you for doing such a wonderful job with the cupcakes & smash cake for my daughter's first birthday! Everything turned out so beautifully & were amazingly delicious as well!! The cookies were such a hit at the baby BBQ. Everyone loved them. Thanks again for all of your help making our party a success. Both cakes were fantastic. They were absolutely beautiful. From this point on if I need a cake for any occasion I will be calling you. Oh my goodness. The cake and the cookies were beautiful and delicious for my son's birthday. The kids absolutely loved them! Thank you so much. You all are truly artists. Thank you so much for the adorable (sugar) cookies! They were just like the picture! Absolutely amazing and so delicious! Thank you for your hard work on them. They were a huge hit at the shower today! The cake was awesome!!! Not only was it adorable, but it was delicious!!! We had so many compliments. The chocolate pecan pie on Thanksgiving was absolutely fabulous (BEST pie I've ever had)! They (decorated sugar cookies) are adorable!!! You are the best!!! I am so happy with how they came out and especially happy with your EXCELLENT service. I wanted to thank you again for the fabulous cookies. Everyone loved them. Not only were the cute but tasted amazing. Thanks for helping to make my son's rehearsal dinner something special. Your delicious (sugar) cookies were the hit of the "SPA" party! The girls just loved the designs and personalized cookies. They were quite tasty too!! Thank you for such great service and cookies! Thank you for making the wedding cake. It was amazingly delicious. Many people commented on how good the cake was, so I told anyone who asked where we got our cake. I just wanted you to know how pleased we are. Just wanted to say thank you so much for the amazing cookies, they look and taste amazing. We are giving them as gifts and they turned out so well. The cake was amazing! Everyone was so impressed and raved about it! It was exactly what we wanted. I was able to sneak a piece and it was so yummy. Hard to find a cake that is both yummy and beautiful and yours fit the bill. The (sugar) cookies were amazing. Thanks so much! I will definitely be reaching out for more baked goods for our parties! I wanted to say thanks again for the cupcakes for my wedding! They were delicious and everyone was raving about them (especially the cookie dough cupcakes). The cake was a hit and not a crumb made it out of the party (super soft and yummy)! Thank you for another great Whipped creation. Not only was the cake adorable, it was absolutely delicious! Compliments all around and a huge hit. Thank you SO much for such an awesome cake!!! Everyone was in love with it. The cookies were the perfect favor too. Thank you thank you!!!!! Thank you for the wonderful deliciousness!!! The blueberry streusel coffee cake is the best coffee cake I've ever had! Thanks so much for making Nathan's cake...it was super delicious, just the way I like my chocolate cakes and the strawberry cream was great! Thanks again! That (chocolate) cake was hilarious and melt in your mouth deliciousness. Thank you again for helping me. I sincerely appreciate it. My son loved his sushi boat cake! I have never seen him smile so big. I need a cake like this for picture day at school. I was just telling my Mom that your brownies gave me that euphoric feeling that chocolate SHOULD give you. AHHHHHHHHH!  Thanks! Holy YUM!!! The wedding cake tasted awesome! Everybody loved the Nebraska Groom's cake! Thank you! 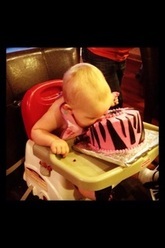 The owl cake was delicious and a real hit with Lana and all the family yesterday at the one year birthday celebration. Thank you both very much! Those salted caramel brownies were insane! I'm going to need more. My daughter loved her Dumbo cake! 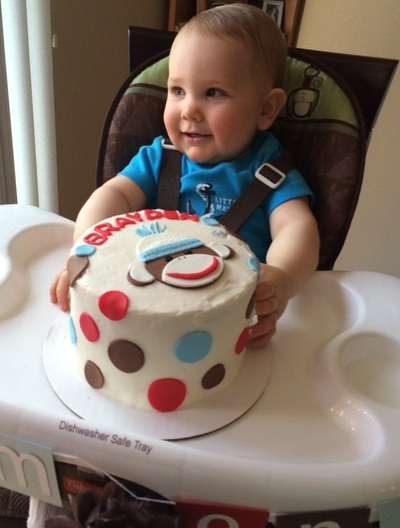 It was so adorable but a nice surprise was how delicious the cake and frosting were! Thank you, Whipped! Thanks again for the pecan pie! It was for Grandma's 95 bday and she loved it so much she wouldn't share, she actually took the entire pie back to her assisted living apartment to devour alone. Thank you for, as my kids put it, "the best cupcakes ever"! The chocolate chip cookie dough cupcakes are to die for. Thank you for making yet another yummy baked good. The pink and white carriage cookies that you made for my daughter's baby shower were amazing! Thank you so much! We placed them at each of the guest's table setting (on white tablecloths with pink napkins tied with a bow) and the presentation was beautiful. Not only were the cookies delicious, but they became a part of our "vintage" themed decorations. Thank you again for such a beautiful beach 25th Anniversary cake and cookies! They were a hit! Everything tasted wonderful and made our anniversary complete.